Nov 28, 2015. Who will make the CFL All-Star team? The East Division and West Division All-Stars were announced earlier in November, and now voting is happening on who will make the final CFL All-Star squad that will be announced in early December. Making up the provisional squad there are a staggering nine players from Ottawa Redblacks, and eight players each from BC Lions, Hamilton Tiger-Cats, and Calgary Stampeders. Edmonton Eskimos, who are +150 to win the Grey Cup, have seven representatives in the All-Star squad. Interestingly, out of the 54 players who make up the selections from both divisions, only one player was picked by a unanimous vote. Let’s take a look at who could make the final cut in some of the most important positions. Here we start with the line backers because this is the only position that has a player nominated by unanimous decision from the judges. This player is Adam Bighill from BC Lions. Bighill was voted the Lions’ player of 2015 in two categories which were overall outstanding player and defensive player. He was one of the main reasons the team proved bookmakers right and qualified for the playoffs for the 19th year in a row. However, even his tenacity could not help them beat the Calgary Stampeders in the West division semi-final. Bighill will face stiff competition from Dexter McCoil of the Eskimos and Winston Venable from Montreal Alouettes, who have also looked in excellent form this season. With two to choose from it is between Bo Levi Mitchell and Henry Burris as to who will make the final team. As the two of them face off, Burris will have a chance to showcase his talents for Ottawa Redblacks in the Grey Cup. The Redblacks have odds of 9/10 with a +7 handicap with 32red Canada, while Paddy Power also have interesting markets open on the fixture. Burris has to be the favourite to make the final cut in this position as he was instrumental to the Redblacks’ success in winning the division this year. Mitchell was MVP in last year’s Grey Cup but this season he was second best in passing overall. The short-listed running backs are Jerome Messam of the Stampeders, Andrew Harris of the Lions, Tyrell Sutton of the Alouettes, and Brandon Whitaker of Toronto Argonauts. Harris has been in good form this season but as they crashed out of the playoffs to the Stampeders, some may think that Messam has the edge in this position. 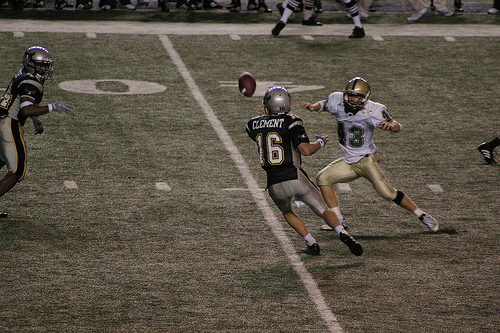 Sutton has made an excellent turnaround in his career since joining the Alouettes after having had a torrid time in the NFL. The man who Sutton replaced at Montreal, Whitaker, is now approaching an age where some pundits are speculating that he is past his best. Many will agree that the two strongest contenders for an All-Star team in this position come from the West Division. For the two receiver positions there are eight shortlisted players. The Redblacks and the Eskimos both have two candidates in the running, with Chris Williams and Derel Walker looking to have a good chance of making the cut. This makes sense as the two teams have been the best in their divisions this season. Players who will be trying to muscle their way past the big boys into the All-Star team include S.J Green of the Alouettes. Green is a veteran slotback who started the 2015 campaign on the back of three successive 1000-yard seasons and also continued his excellent catching form this campaign. Eric Rogers of the Stampeders also has a very strong chance of making the All-Star team as many view him as the best receiver in the CFL. He was one of the reasons why earlier in the season the likes of 32red and others were giving good odds on his team making it to the Grey Cup. After 11 games, Rogers had already passed the 1000-yard mark and was 299 yards ahead of the next closest pass catcher, S.J Green. He also has great production in the red zone and a knack for scoring touchdowns. Indeed, it would come as some surprise if Rogers didn’t make the final All-Star team. There are some seriously talented players in contention for these positions, and that was just the offence. There will be some tough rounds of voting to decide who the best player for every position is. The CFL All-Star team will be announced early in December.